Financially distressed homeowners unable to keep up with their mortgage payments may surrender their ownership rights to the bank. The deed-in-lieu of foreclosure has increased in popularity among banks when repossessing properties. A deed-in-lieu home has the same fate as a foreclosed home. The homes are auctioned to the highest bidder to recoup as much money as possible. Both events are considered serious credit missteps in terms of the damage to your score and future mortgage-borrowing. Many banks and the federally backed Home Affordable Foreclosure Alternatives Program, which streamlines foreclosure-prevention efforts, tout the deed-in-lieu as a less disruptive way to get rid of a loan. Time-consuming foreclosure proceedings may allow you to remain in your property longer, but deeding the home back to the bank is considered a "dignified exit," according to the government's Making Home Affordable website. A deed-in-lieu may also be a more cost-effective way for the bank to take possession of a home compared to the costly foreclosure process. Deeds-in-lieu are generally more popular in states where the foreclosure process takes longer, according to Forbes. A relatively shorter foreclosure period of just under one year -- compared to two years or more in some states -- causes banks to opt for foreclosure rather than accept a deed-in-lieu. Many times, banks offer homeowners who prefer to remain in the home as long as possible money in exchange for signing over the deed and moving out. To save time, the bank gives a "cash-for-keys" incentive of several thousand dollars to ensure the borrower leaves the home in acceptable condition by a specified date. Different banks have varying protocol and guidelines for a deed-in-lieu; however, many follow the federal government's streamlined HAFA program. Banks usually offer a deed-in-lieu after you fall at least 90 days behind on payments. The bank requests financial information and may order an appraisal to discern the home's value and condition when considering a deed-in-lieu. The total turn-time for bank review is about 90 days, according to AllLaw.com. 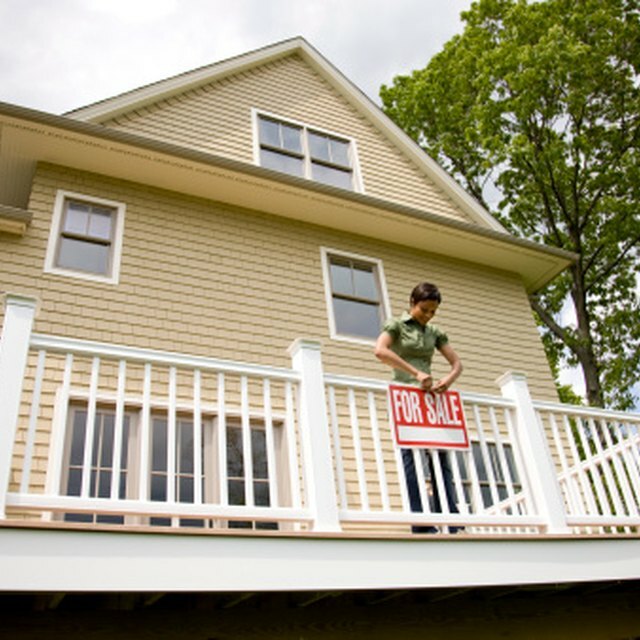 The process culminates at a "closing," similar to a loan closing when getting a mortgage. Banks that follow Fannie Mae guidelines may even allow borrowers to live in the home afterward in a program called "deed for lease." A deed-in-lieu and foreclosure are typically the last resorts for banks to recover their money. They often prefer to let a borrower stay in the home and short sale, thereby minimizing the risk of vandalism and the expense of maintaining the property. The proceeds from a short sale fall short of paying off the loan balance but act as payment in full for the debt. Lenders usually require you to market the home with a real estate professional for at least four months as a short sale before considering a deed-in-lieu. Forbes: Deeds in Lieu of Foreclosure: Naughty or Nice?